At Toastmaster Philip Gardner we are committed to maintaining your privacy. We may also use the information to keep you informed by post, e-mail or other available channels of features, services, products, promotions and special offers from us. We may sometimes use the information we collect to let you know about important functionality changes to our websites. If you prefer us not to provide you with any of this information, please let us know by emailing us at philip@toastmasterphilipgardner.co.uk. You may at any time have your details removed from our database. 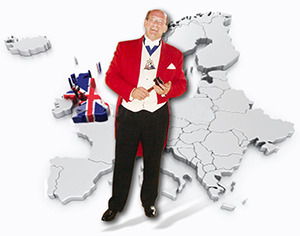 Simply email your request to us at philip@toastmasterphilipgardner.co.uk. We will then ensure that your details are removed as soon as practicable. By using our websites, you consent to the information you give us being processed for any of the purposes we have explained above except where we have received your email message through the email address philip@toastmasterphilipgardner.co.uk.